It's late and a little boy it looking at a giant crystal in a gallery. Suddenly the lights go out. Moments later when they come on he's shocked. The crystal has been stolen!!! The next morning at Usagi's house, Usagi and her mum are watching a news report about Minako Aino who's recording her new album in London. 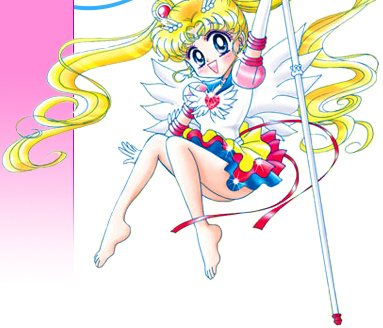 Usagi begins thinking how she can't wait to listen to her new song when she's interrupted by the mention of Tuxedo Mask on the news! 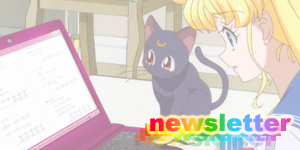 The reporter says that Tuxedo Mask has released information concerning the Imperium Silver Crystal to the media and then presents a "specialist" how describes the crystal's appearance and says that it's valued at a lot of money. 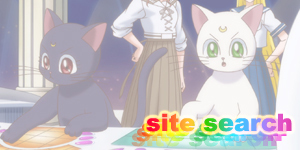 Luna calls a Sailor Soldier meeting and they all discuss what this means for them. Rei says that they can't trust Tuxedo Mask because he's a thief. Ami agrees. Usagi is convinced though, that he is their friend because he's helped them on so many occasions. Mokoto asks Usagi if she "likes" Tuxedo Mask. 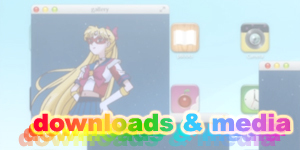 Usagi blushes and surprises everyone. In the Dark Kingdom, Queen Beryl is tending to an unconscious Jadeite hovering in front of her. She tells him that she appreciates his efforts and wants him to regain his energys while he rests. She then transforms him into a lump of (literally) jadeite. 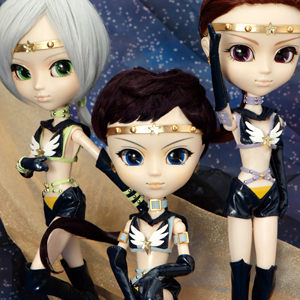 Kunzite sees this and becomes insanely jealous. In Tokyo, Mamoru is sleeping in his apartment and dreaming of a mysterious woman, asking him to find the Imperium Silver Crystal. he wakes up and looks at his Tuxedo Mask hat and mask. Meanwhile at Rei's temple, a man has approached Rei and asks her to use her powers to help him protect his crystal which he believes is the Imperium Silver Crystal. Rei tells Luna and the girls about this but looks upset because she doesn't want to use her powers this way. Ami sees this and volunteers to go in Rei's place by using the disguise power. 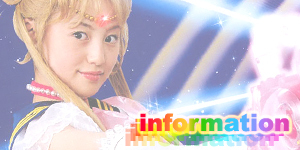 Mokoto also volunteers as does Usagi. Luna reminds Usagi that Tuxedo Mask is their enemy and that she's not going to talk to him! Later on they all arrive at the man's building which is heavily guarded. Ami, disguised as a Shinto priestess enters while Mokoto (disguised as a cop) and Usagi (as a garden worker) scout out the surroundings for any bad guys or Tuxedo Mask. Once inside, Ami sees the professional from tv is also there. The man gives the professional the crystal and is told that it could very well be the Imperium Silver Crystal. Outside, Usagi sees Tuxedo Mask in the garden sneaking towards the building just feet away from all the security! She quickly disguises herself as Tuxedo Mask, grabs Tuxedo Mask and they both run away with the cops in pursuit. 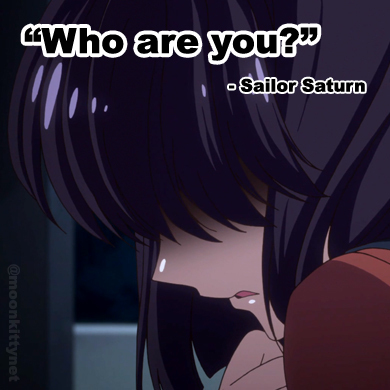 When the find safety Usagi sees that the man isn't Tuxedo Mask at all, but one of many impersonators! The "Tuxedo Mask" realises that Usagi is a woman and begins to stroke her arm. She screams and pushes him onto the road where he's caught be the cops. Unfortunately they see her too and she runs away into an alley but it's a dead end! Suddenly a voice yells for her to transform. She does so and jumps out of the alley to freedom. Back at the mansion, all of the chaos caused by Usagi has given the professional the chance he needed and he grabs the crystal and runs away. Ami runs after him and meeting up with Mokoto outside, they both transform into Sailor Soldiers and chase him. Surprisingly though he was just being mind controlled by Kunzite who takes the crystal from him and escapes into the nearby forest. Sailor Mercury and Sailor Jupiter corner him and attack him with Flower Hurricane and Sailor Mercury's brand new attack, Shine Aqua Illusion! Kunzite deflects these attacks way too easily but drops the crystal in the process which shatters on the ground. Realising it's a fake he teleports away. 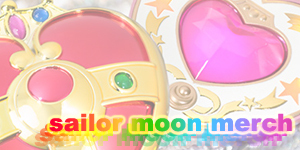 Elsewhere, Sailor Moon has tracked down the real Tuxedo Mask asks him what he's after. He says that he's looking for the crystal and tells her that it's best that she not know his real identity. 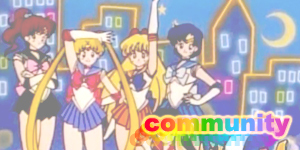 Later, Usagi, Ami, Mokoto, Rei and Luna all reflect on the day's events in Crown Karaoke. Rei thanks Ami for going in her place and they all wonder where the crystal could be. Luna suggests that it could possibly be with the Moon Princess. In the Dark Kingdom, Zoicite has finished composing his work which he entitles, "Requiem for a Princess". 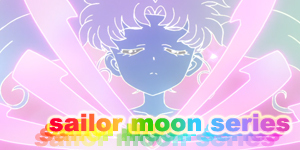 Princess Serenity appears for the first time in Tuxedo Mask's dream in this episode, albeit a little out of focus. Sailor Mercury used her second attack, Shine Aqua Illusion in this time! As with most new attacks from this point on, it is in 100% real time!